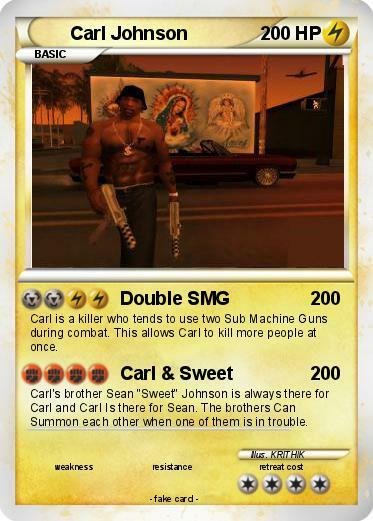 Carl is a killer who tends to use two Sub Machine Guns during combat. This allows Carl to kill more people at once. Carl's brother Sean "Sweet" Johnson is always there for Carl and Carl Is there for Sean. The brothers Can Summon each other when one of them is in trouble.